It is an exclusive, invitation-only program for buyers who meet our specific criteria. Hosted buyers will be chosen from a pool of influential applicants. Diversified Communications may recommend buyers based on market knowledge, sales, and marketing feedback as well as customer feedback. 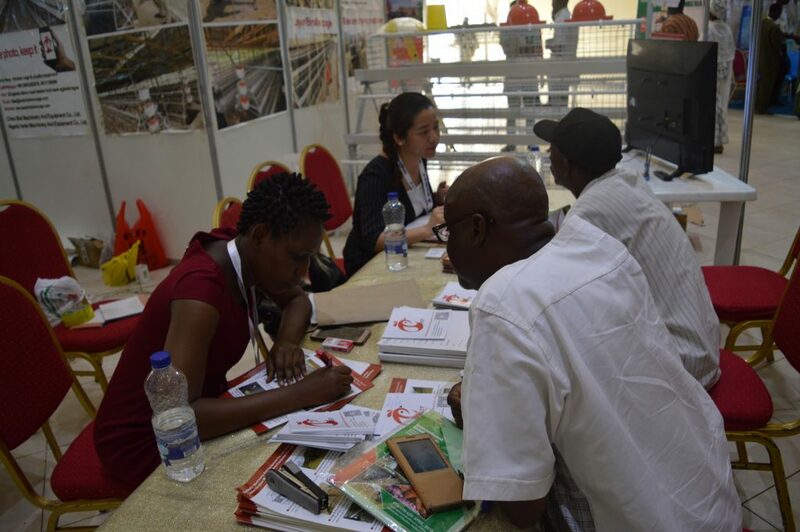 All hosted buyers are required to fulfill 8 appointments with participating exhibitors during NIPOLI EXPO 2019.
Who Qualifies and How to Apply? Hosted Buyer participants must be a high-volume poultry and livestock buyer or “Key Buyer” level buyer in one of the following categories: wholesale, retail, or distribution. To qualify, the Hosted Buyer MUST attend the event AND hold a minimum of 8 verified meetings to receive reimbursement. Exhibitors may share with event organizers the names and contact information of buyers they wish to be hosted. These buyers must be Key Buyer level and will be subject to approval by the Key Buyer level manager. Diversified Communications may recommend buyers based on market knowledge, sales, and marketing feedback as well as customer feedback. Hosted Buyers are identified through the Key Buyer Program. Program benefits to the suppliers, distributors or manufacturers? All buyers are pre-qualified by the show manager, thus saving you the time and energy of qualifying them yourself. You are guaranteed a set number of appointments per day. Because the appointment setting happens well in advance of the show, you have the ability to prepare ahead of time and tailor your presentation to each buyer. Measurable ROI that can be tracked back to a particular appointment versus collecting business cards and/or having short conversations in a crowded, rushed floor environment. Program benefits to the buyer? Reimbursement for transport and accommodations to the show. This can help take the burden of justifying attendance to individual and cooperate bodies. Preset, scheduled appointments throughout the day with new and existing suppliers, distributors or manufacturers you want to connect with. Gone are the shows where you have to wait at a booth to talk to the right person or rush a conversation due to limited time between educational sessions. The ability to have lengthy discussions with new and existing suppliers, distributors or manufacturers in a quieter arena that allows you to better understand their offerings. The ability to network with many of exhibitors of your choice.